August 13, 2014 Clarksville, TN Tilted Kilt Pub and Eatery, with support from the Nashville Chive Chapter, recently raised $4,476 for the Folds Of Honor Foundation. The “Nashville Chive Unofficial Meetup”, presented by Budweiser of Clarksville, was held at Tilted Kilt on May 17 and included a silent auction, limited edition tshirt sales, drink and menu specials and more with proceeds going to Folds of Honor. In addition to Budweiser, additional sponsors for the Chive Meetup included SSF Submission Academy, Touchgolf Products, The Joe Padula Show, and Clarksville Online. 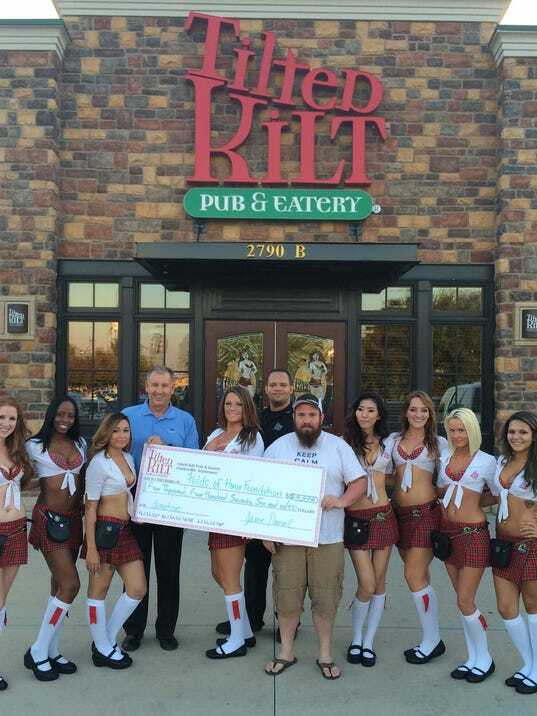 The event raised a total of $3,250 for the foundation and served as kickoff to Tilted Kilt’s “Here’s To The Heroes” national campaign in which Tilted Kilt Clarksville raised another $1,226 for the charity. The Folds of Honor Foundation is a national 501(c)3 that provides scholarships and other assistance to children of our soldiers that are disabled or killed while in the line of duty.